Ready to use. 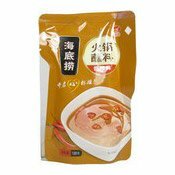 Dipping sauce for hot pot. Allergy Advice: Contains Peanut, Sesame, Soybean. Storage Condition: Keep away from direct sunlight and store in a cool dry place. Once opened keep refrigerated. 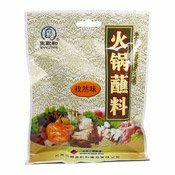 Ingredients: Water, Peanut Paste, Sesame Paste, Chive, Fermented Bean Curd (Soybean), Vegetable Oil (Non-GMO Soybean Oil), Wine, Salt, Sugar, Cumin Powder (5%), Sesame, Flavour Enhancer (E621), Thickener (E415), Preservative (E211), Acid (E330), Spices. 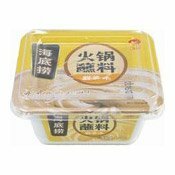 Simply enter your details below and we will send you an e-mail when “Hotpot Dipping Sauce (Cumin) (王致和火鍋蘸料)” is back in stock!